This photo is not a glamorous temporary facelift intended to show off my manicure, despite what Elle magazine might claim. Nope, it’s me trying to get at least a little work done during a migraine attack. 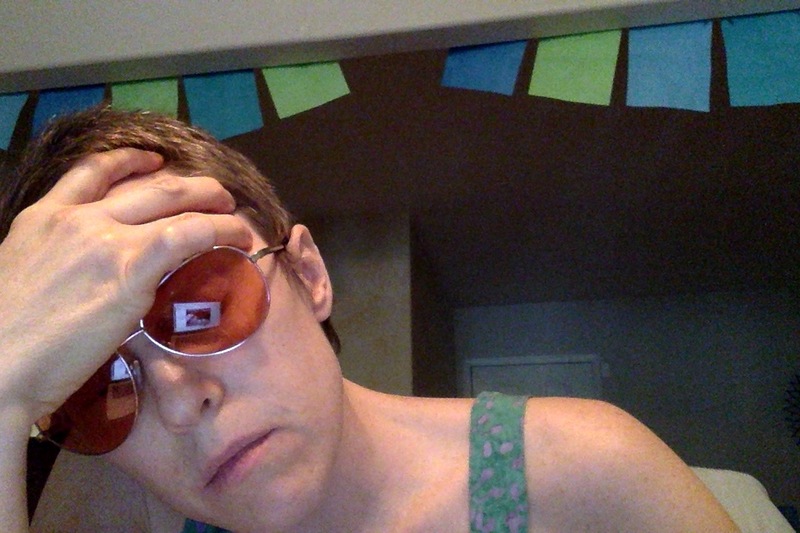 According to Elle, #migrainepose is a trending Instagram pose that’s “damn flattering.” I wish I’d know how beautiful I looked all these years that the pain-induced furrow between my eyebrows has been deepening into a rut. We at ELLE.com love a weird Instagram pose, and the latest one populating on our feeds is giving everyone a headache. Well, it’s making everyone deliberately look like they have a headache. And it’s damn flattering. “I love it because the beauty of your hands frame the face and give it more structure. I always make my models pose this way,” Vo told me, “It’s also a great time to show off your manicure.” #Priorities. My #priorities are reducing the stigma of this disabling disease that can rob people of any semblance of a normal life, teaching those without migraine how that migraine is so much more than “just a headache,” and trying to live as well as possible with a life that’s dictated by a terrible illness. Granted, showing off my beautiful hands and giving my face more structure are probably loftier goals. Perhaps I could have pursued those important priorities if I hadn’t spent most of my adult life disabled by migraine. Tell Nam Vo, the makeup artist who coined the term, what you think, too. Instagram: @namvo. Aimovig Insurance Coverage: Will Insurance Cover Amgen’s New Migraine Prevention Drug? Do insurance companies offer Aimovig insurance coverage? Depending on the insurance company, Aimovig insurance coverage could already be available! Some readers have reported success with getting insurance coverage already. My insurance company told me Aimovig came out too late to be included on their current formulary, which is updated twice a year. I was told they’ll make a determination for the January 2019 or July 2019 formulary. As a fellow advocate pointed out, if this were a cancer drug, insurance companies would be unlikely to tell patients they have to wait six months to a year to learn if it will be covered. If I decide to continue with Aimovig after the free trial, I will actively pursue coverage, which will certainly involve letters from my doctor and insurance appeals. I’ll let you know how it goes. If it’s not available yet, will Aimovig insurance coverage eventually be available? The likelihood that insurance companies will cover Aimovig and other CGRP-inhibitors is promising. ICER, the organization that insurance companies look to for guidance, issued a report on May 31, 2018 that CGRP-inhibitors are a cost-effective treatment for both episodic migraine and chronic migraine. The migraine advocacy community was pleasantly surprised by this news and is hopeful that it bodes well for coverage. ICER has yet to make its final determination and insurance companies are free to make their own decisions no matter what ICER determines, but we’re in better shape than expected at this point. Will Medicare and Medicaid cover Aimovig? Probably yes, eventually. I know that’s a lot of equivocation! Medicare and Medicaid are usually slower to adopt medication coverage than commercial insurance companies are. The ICER report could work in our favor though, especially if it’s considered more cost-effective than Botox, which Medicare and Medicaid do cover. Advising people to be patient is tough—we’ve already waited so long for the first CGRP drug to become available. Though I do think coverage will come sooner than we might expect. I can’t overstate how important it is that ICER’s report determined that CGRP-inhibitors are cost-effective for people with chronic migraine and those with episodic migraine. Combined with Amgen’s two-month free trial and Bridge to Commercial Coverage program I wrote about yesterday, people with commercial insurance have a promising outlook. Unfortunately, I know many of you have state or federal insurance, which doesn’t benefit from these programs. The disparities in access to medical treatments makes me sick. If you have Medicare Part D, you may be available for coverage through the Amgen Safety Net Foundation. How about you? Do you have Aimovig insurance coverage? Please leave a comment and let us know what your experience has been like? Note: You may be eligible for several different programs, so be sure to read through all the options. My knowledge on these programs is limited to what I’ve shared here. If you have questions, please call Aimovig Ally at (833) 246-6844. I found their customer service incredibly helpful and responsive. And I’d love if you leave a comment sharing what you learn so we can all know more about the programs! The two-month free trial is available to all new Aimovig patients (except those who live in Massachusetts or have participated in a clinical trial). Participants will receive two months of Aimovig (either 70 mg or 140 mg each month, depending on what your doctor prescribes) at no charge. There is no continuing obligation. You must enroll by Dec. 31, 2018. See page 4 of this Aimovig prescription form for the legalese. The “Bridge to Commercial Coverage” program provides up to 12 months free to patients while they are pursuing insurance coverage. To qualify, you must have commercial insurance (state or federal coverage, like Medicare or Medicaid, don’t qualify) and your insurance company has to have denied your request to cover Aimovig or not cover it at all. You also need a valid prescription for Aimovig and have tried at least one other preventive without success. You must enroll by Dec. 31, 2018. Massachusetts residents are not eligible for the program. This program requires that you (and your doctor, if necessary) are actively pursuing insurance coverage and appealing denials while you’re receiving the free doses. Page 4 of the Aimovig prescription form has details about the paperwork that might be required. Patients with commercial insurance can reduce out-of-pocket costs to as little as $5 per month (with a $2,700 annual maximum savings). Eligibility is not based on income. Since the details of this program may change, please see Amgen’s Aimovig copay support information for specifics. You cannot use copay support if you have state or federal coverage, like Medicare or Medicaid. Here’s the wording of the program directly from Amgen since I don’t have firsthand experience with it. You can learn more at the Amgen Safety Net Foundation website and on the Aimovig prescription form. What’s been your experience determining how to pay for Aimovig? Please share your story in the comments. Updated 2/8/18: I have updated information after speaking with a patient education specialist today. What the representative I spoke with Tuesday told me was mostly accurate, but not entirely. I’ve added updates throughout the post. I’m embarrassed by all the changes and apologize for passing on incorrect information. The list gammaCore cost is $600 per device and needs to be “refilled” every 31 days. You have unlimited use of the device for one month, then it will stop working. A “refill” means buying a new device. 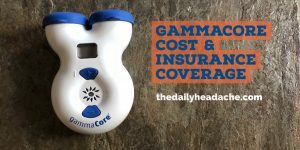 Yes, you read that correctly—the gammaCore cost is $600 a month ($7,200 a year) without insurance. This pricing model is both ridiculously expensive and wasteful. It’s also 2.5 times what mine cost before it was available in the US market (more on that in a bit). Update 2/8: The out-of-pocket cost for the foreseeable future is $498 a month ($5,976 a year). The device costs $575 a month and fees for the speciality pharmacy that sends the device add $23 per month, for a total of $598. The pharmacy automatically applies a $100 discount for people with migraine or cluster headache, which electroCore is calling “copay assistance.” The discount applies every month and does not currently have an expiration (though that may change). gammaCore representatives say they are working with all US insurance companies to get the device covered. Currently, coverage is on an individual patient basis. To see if your insurance company will cover it, you need to contact them directly and ask for their protocol for covering medical devices. 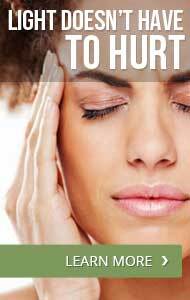 You will almost certainly need to submit documentation from your doctor about the severity and frequency of your migraine attacks or cluster headache attacks and information on other treatments you have tried. gammaCore customer service can help you determine which information will help make your case with the insurance company. If you decide to purchase the device before getting approval from your insurance company, you can submit for reimbursement (though there’s no guarantee the insurance company will reimburse you). gammaCore customer service ((888) 903-CORE) can help you with that process. I will be trying to get coverage through my insurance company and will keep you posted on the process. Update 2/8: gammaCore is supplied through a speciality pharmacy, which will contact your insurance company for you. Your doctor prescribes the device using the gammaCore enrollment form, which they submit to the specialty pharmacy. Before filling the prescription, the specialty pharmacy will contact your insurance company. If your insurance company requests additional information to prove the device is medically necessary, the pharmacy will get the information from your doctor and submit it to insurance. The pharmacy will let you know whether your insurance will cover the device and how much they will pay for. The whole process usually takes about a week. When I asked if contacting my insurance company directly would help, I was told it wasn’t necessary, but it couldn’t hurt and will raise awareness of the gammaCore as a treatment option. The gammaCore Patient Registry (GPR) will give a patient with migraine or cluster headache two free months of use if they qualify for the program. The GPR is basically a follow-up study to see how the device works “in the wild” for a large number of patients. If there’s a GPR site near you and you qualify, you may try the device out at no charge for two months in exchange for frequent reporting on your migraine symptoms and use of the device. If you decided to continue using it, you may then qualify for a year of use at a discounted rate. To find out if there’s a GPR site near you, call (888) 903-CORE. I am going to look into the GPR for myself, but don’t think I will qualify since I’ve been using the device for almost 20 months. I’ll let you know what I learn and if I am able to participate. Update 2/8: The GPR is currently only for people with episodic cluster headache. There may be a GPR for migraine in the future, but one is not currently in the works. Patients who meet financial qualifications may receive a discount on the gammaCore. This is similar to prescription assistance programs, which are income-based. Call (888) 903-CORE for details. Everyone who orders a gammaCore for migraine or cluster headache gets a $100 “copay assistance” on every order. There is no financial need qualification. This is a $100 discount off the price of the device, no matter if you have insurance or not and no matter how much your insurance covers. The copay assistance is not time-limited, though electroCore may discontinue the program at any time. A patient assistance program may be developed in the future. I went to Canada to get the gammaCore because it was approved there years before it was available in the US. The pricing model for the device changed last summer, when the gammaCore received FDA approval for cluster headache. The device that used to cost me less than $3,000 a year will now cost $7,200 a year if my insurance doesn’t cover it. Depending on the exchange rate, I used to pay about $550 for a device with 300 uses that could be used in any time frame. Because I get a migraine attack every time I eat, I went down to two meals a day so each device lasted 2.5 months. It used to cost me about $1.85 per use. At the new pricing, it will cost $5 per use. The 300-use device is no longer available; it now needs to be replaced every 31 days in Canada and, I believe, every country it is available. I assume electroCore, the company that makes gammaCore, changed the device settings and pricing model for the US insurance market. I received my first gammaCore free (it was the program electroCore offered at the time), then paid for subsequent devices myself. Yes, it was expensive; I justified the cost because it allowed me to increase my productivity at TheraSpecs. The idea with any treatment I try is that if it works, it will pay for itself by allowing me to work more. I know this is a luxury allowed by my unusual work setup, which doesn’t apply to most people.